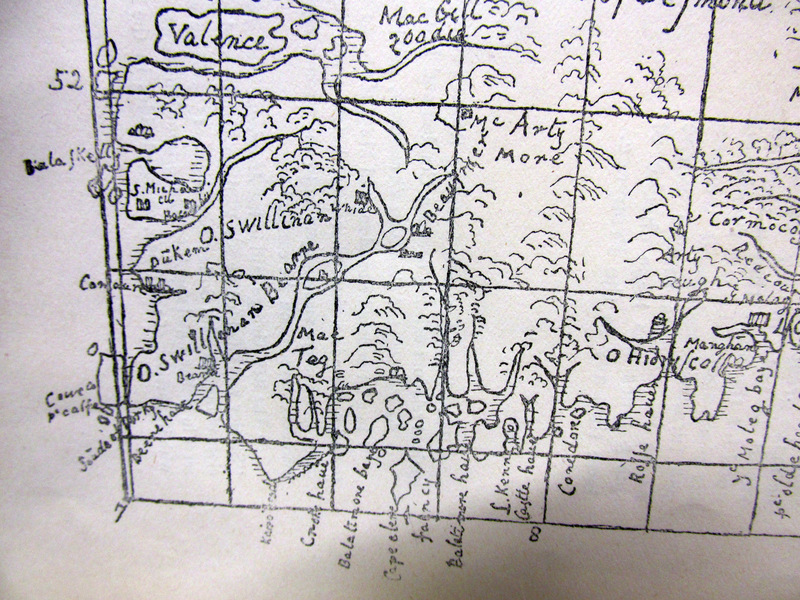 Map of Co.Cork and Kerry, 1575. Captain Edmund Anderson Shuldham, Coolkelure, Dunmanway, listed 1854, A.D.C. to Lord Lieutenant, subscriber 1861 to Smith’s History of Cork. Niece Georgina, Countess of Bandon. Built Coolkelure Church, Dunmanway, 1865. 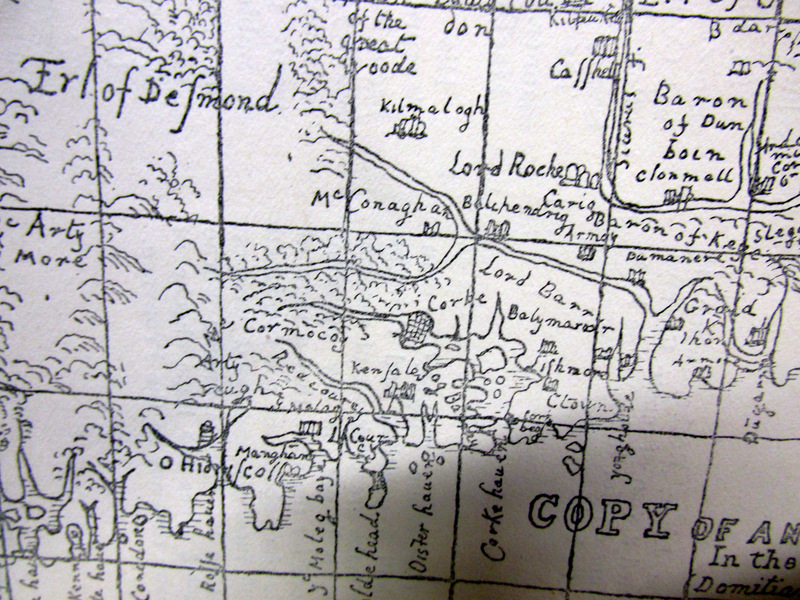 Dunmanway Shouldhams descend from Shouldham/McCarthy marriage c 1720. 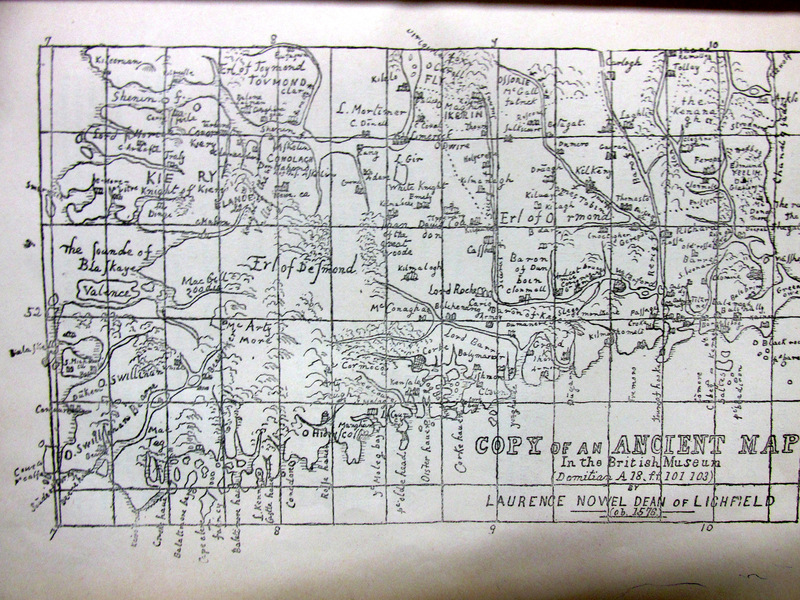 Land record, Major Shuldham, 1870, 13,039 acres. W.L. Shuldham Esq., Coolkelure, Dunmanway, sitting Dunmanway 1835, 1835 Subscriber Lewis Topographical Dictionary of Ireland 1837. Lieutenant-General Shouldham (1810-, Coolkelure, Dunmanway, daughter Catherine m 1852, Percy Freke Evans, 7th Baron. Shuldham/Shouldham – The Shuldhams were originally from Norfolk. In 1690 Shouldham from Dunmanway, the Solicitor General for Ireland, married one of the Whites of Whiddy Island later this line became the Whites of Bantry House. In the early 18th century Edmond Shuldham of Ardtully, County Kerry married Mary MacCarthy, daughter and heiress of MacCarthy Spaniagh of Dunmanway, county Cork. Their eldest son, Edmond Shuldham, held lands in the counties of Cork, Limerick and in the city of Dublin. He was a subscriber to Smith’s History of Cork in 1749. Many members of the family followed military careers. Arthur Lemuel Shuldham of Dunmanyway, and of Pallas Green, county Limerick, had a son Edmond William who was Quarter Master General at Bombay for a number of years. At the time of Griffith’s Valuation General Shuldham owned an estate in the parishes of Oola and Tuoghcluggin, barony of Coonagh, county Limerick. Thomas Apjohn of Pallas was agent for the Shuldhams circa 1840. In 1851, Maj. Gen. Edmund Anderson Shuldham was among the principal lessors in the parishes of Drinagh, Fanlobbus and Kilmichael, barony of East Carbery, county Cork. His estate in county Cork in the 1870s amounted to over 13,000 acres. Major General Shuldham was involved in famine relief in Dunmanway and was Chairman of the Workhouse Committee taking an active interest in promoting the inmates welfare. This is dealt with in the Cork Archives Dunmanway Board of Guardian papers referred to below. From the early 18th century marriage the Dunmanway Shoudhams are a sept of the McCarthys through the female line showing the resilience of this line over the millenia. From Convert Rolls, Anstace Shuldham, possibly nee McCarthy 1737 Spinster, Co. Cork. The Shouldham Estate in Dunmanway West Cork comprised over 10,000 and arises from the marriage of Shouldham from Kerry/Limerick to a McCarthy heiress in Dunmanway in the early 1700s. This lady may be her or her daughter. Cork Evening Post had an ad on the 25th August 1766 letting 800 or 900 aces Gleanrough apply to Dr. Creagh or James Galway at Tullyglass near Enniskeane during the minority of Master Shouldam 7 years old. These records were updated by Cole which is also online at Cork Past and Present. For details of population, schools etc. The predecessor of the Cork Archives acquired the papers of the former firm of Wheeler Doherty, Bandon, Solicitors and Land Agents to the estate of the Earl of Bandon in 1971. It is an enormous collection and part was recently archived the inventory runs to over 70 pages. The Bandon Estate was somewhat unusual insofar as it was not acquired by conquest but on the earnings of Francis Bernard as a barrister in Dublin in the early 18th century and added to later by judicious marriages and purchase. Reading the inventory it is possible to look at the estate as a commercial concern, the rents paid by the tenants supported a large organization employing many in Bandon in Castle Bernard. At its height the estate ran to over 40,000 acres mainly in Co. Cork but in Dublin and other parts of the country. It was managed professionally from the late 18th century and was audited by Dublin accountants. Apart from the Bandon/Bernard family it supported pensioners and endowed various worthy causes. In the western estate it recovered the lands in Durrus from the Evansons (it seems it have bought the estate off them in the 1720s and leased it back) it demolished the village of Durrus then a collection of miserable mud cabins. The Archive has rent receipts for the 1730 from the Bernards to Nathaniel Evanson and Jeremy (or Jeremiah) Coughlan, who married his sister around 1700. The Coughlans of Carrigmanus were a little unusual insofar as an old Gaelic family they had become Church of Ireland by 1600 and a long line of clergymen came from the family. It is probable that Jeremy was the grandfather of Frances Coghlan, Upper Clashadoo who married Thomas Dukelow from Cruttees in 1818 and he married in. Thus many of the Durrus Dukelow have a Coghlan descent line and have ancestors who would have ben on the Mizen and Muinter Mhaire Peninsula for perhaps 3,000 years. Jeremy Coughlan was an attorney, the Senescal of Dungarvan and was the Agent of the Devonshire Estates in Wesr Waterford with Andrew ?? The village was lid out with court house, shops, pubs, a hotel dispensary and housing and its present structure dates from this period. The rental shows rent commencing for the houses from 1858. 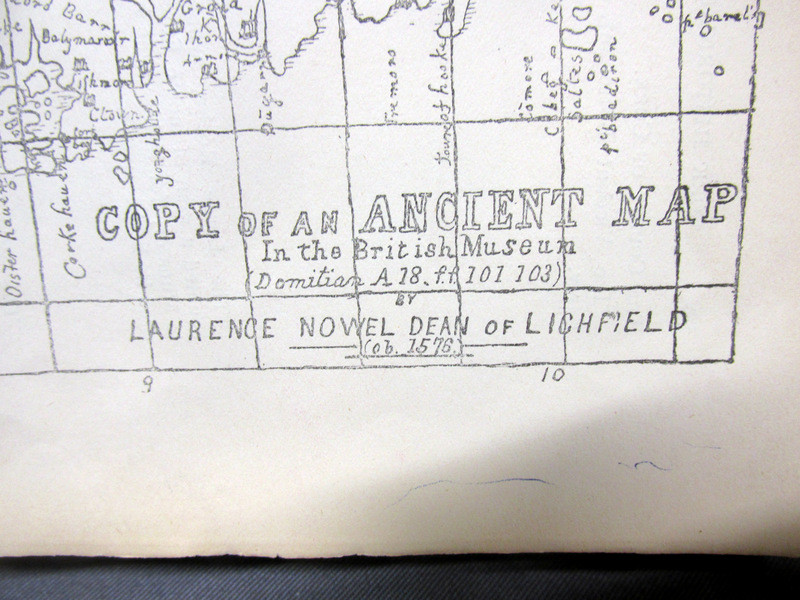 The ledgers are sometimes difficult to read and names and townlands are not always clear. This is a work in progress. It might be noted that the estate moved tenants around within townlands or for example from Dromnera to Crottees, from Ballyourane in Caheragh to Clashadoo, from Carrigboy to the Mizen Townlands. There is some evidence that families were moved from the Durrus area to vacant farms in the Bandon part of the estate. In the 1890s and early 1900s Lord Bandon used Durrus Court as a summer house and enjoyed yachting in the Bay. In the history of St James Church 200th anniversary edited by Francis Humphries there is a reference to Mrs. Roberts of Bandon recalling Lord Bandon in Durrus when she was a child. The Bernards of Bandon became the Earls of Bandon in 1800. The first of the line originated in Westmoreland in the reign of Queen Elizabeth and his son was Lord of the Manor in Castle-Mahon, Bandon on the outbreak of the rebellion in 1641. After 1702 Francis Bernard invested heavily in land forfeit during the Jacobite years which came onto the market. On 1742 the Durrus lands were purchased from Charles Moore of Tipperary by Stephen Bernard in trust for Frances Bernard. The lands included a fish palace at the Island/Brahalish. and included here are the Durrus lands. Sometime in the 1850s they came into possession of estates in Durrus, on the expiration of the Evanson’s lease (this was rented at £540 a year), comprising townlands around the village and west to Ahakista referred to in various deeds as ‘six ploughlands of Coolnalong alias Four Mile Water with the sub-denominations of Dromenea and Brahalish. The current village was laid out replacing a collection of mud cabins and a weavers colony during their tenure and they built a hotel naming it the ‘Bandon Arms’, this later became the property of the Philips family. Lord Bandon is reputed to have built the folly at Droumnea, Kilcrohane as relief work in 1847. Their efforts were praised in the local paper in November 1867 where it was said that every inducement is given to tenants to improve their holdings and the good results of liberal landlordism as in the case of the Bandons was to be seen in their estates in the west. Mary Catherine Henrietta Bernard of Castle Bernard daughter of Lord Bandon married Colonel Aldworth on the 30th July 1863 and an address and copy of ‘God’s Holy Word’ was sent by Rev Freke and the tenantry of Durrus to which she returned thanks. At Dreenlomane Mine (operating until c1920) owned by Lord Bandon, Captain Thomas set tar barrels alight on Mount Corrin which illuminated the sky all night and the 150 miners and their wives were treated to refreshments and similar celebrations were held in Carrigbui. Lord Bandon was an enthuastic exponent of flax growing in the 1860s. On the 22nd February 1864 he addressed a meeting at Carrigbui Courthouse attended by Rev James Freke, Richard Tonson Evanson, and a large assemblage of ‘the yeoman farmers’ of the neighbourhood. He addressed a similar meeting in Bantry a few days before. He mentioned the Munster Flax Society, the imminent coming of the railway, and the establishment of scutching mills to rebut charges of previous failure. He suggested a reduction in the area devoted to potatoes and a little flax to be added. Persons were appointed to do an assessment of what would be planted in each townland next season and bring this to a meeting to be held the following week. Later the Royal Dublin Society appointed a Mr Wilson from the North to provide technical assistance and a flax market was functioning in Ballineen in 1865. A full flax mill was established outside Bandon by James H Swanton in 1865. it might be remembered that the American Civil war was raging at the time making cotton scarce, the growing of flax in West Cork had always thrived during was but declines after. While there are numerous flax ponds in the area the crop never took off like it did in Northern Ireland. James Francis Bernard (1850-1924) was the 4th earl of Bandon and Lord Lieutenant of County Cork. May Roberts, Brahalish remembers Lord Bandon arriving in the area with a four wheeled car and the Coachman Timmy Burke on top a going to his hunting lodge at the present Durrus Court. 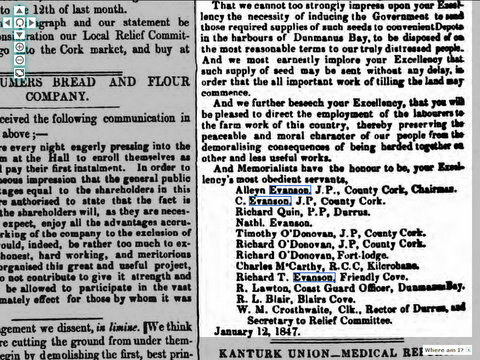 Lord Bandon was in Durrus in 22nd February 1864 to promote flax growing. The large farm at Gearamin, Cummer now owned by a German was part of the hunting area. There was some association between the Philips family and Lord Bandon. They managed the estate and their home farm was extensive from Ahagouna to Rusheeniska taking in some of Clashadoo and Gearamin. Much of the land in Durrus was owned by the Bandon Estate and was managed by the Wheeler Doherty Family (their estate papers are in the Cork Archive Institute but some are still uncatalogued). The previous managers of the estate Edward Appelby and Colonel Henry Boyle Bernard had left it heavily in debt and R.W. Doherty was appointed in 1877. 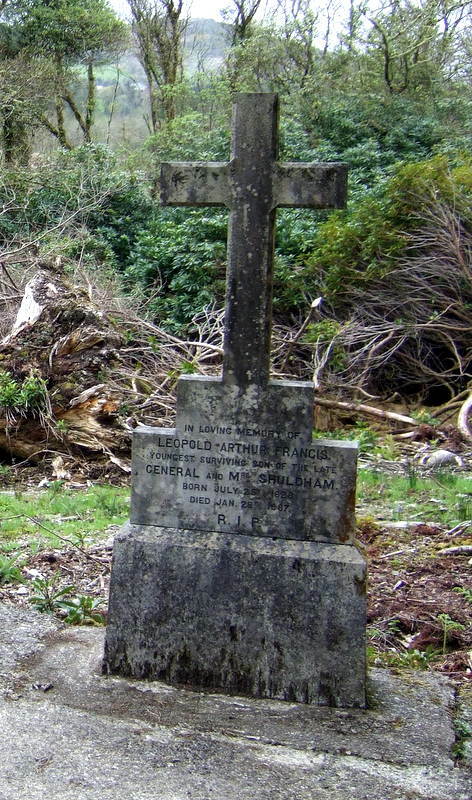 Colonel Bernard (of the Cork Light Infantry Militia) acquired an interest by way of family settlement of 1848 and mortgaged lands including those in Durrus in 1878. In July 1882 Richard Wheeler Doherty Jnr. complained that tenants ‘but principally those of Durrus near Bantry had paid no rent since 1880, his father had said in September 1881 ‘The Land Leagues are destroying the country and a lot of Protestants have joined them … the Protestants at Durrus would pay no rent unless allowed 25% off. More like savages then human beings’. In 1895 the West of England Insurance Company applied to have the Bandon estate sold to satisfy borrowings of 1814 and further advances in the 1870s. Presumably this was settled as the Bandon Estate had title to sell to the various Durrus tenants under the Land Acts. In the 19th Century the great land owning families of Co Cork such as the Bandons controlled the administration of the County with the Grand Jury which met as the time of the legal Assizes and decided on matters of policy. When the County Council was established under the Local Government Act of 1898 power passed to the elected councillors and public officials. A family which in 1870 has over 40,000 acres in Co Cork sold the vast bulk of it under the Land Acts to the tenants and now their successors have only a modest bungalow on the once extensive Castle Bernard Estate in Bandon. It describes some years later the journey to take up his appointment as a Methodist Minister in Bantry, Co. Cork from Belfast. His daughter was only a few months old and the journey in view of the unsettled times and destruction of railways went Belfast via Liverpool and by boat to Cork. It straddled the death of Michael Collins and described the chaos and danger of the times. During the troubles the rectors of Church of Ireland churches were urged to deposit the parish records in the Public Records Office at the Four Court in Dublin for safe keeping. Thankfully, some did not comply and thereby saved the records from the destruction which wiped 1,000 years of Irish History into oblivion in 1922 in the destruction of the records. In 1961 the Public Records Office asked churches to deposit the records in Dublin to enable them to be copied. Margaret Griffith and Assistant Keeper manually copied the relevant records an immense task. The records are now available in the National Archives and contain many for rural Co. Cork parishes as well as St. Annes Shandon, St Nicholas and Christ Church in Cork City. These are the records from Ross Cathedral, the PDF document contains digital images of Margaret Griffith’s work and also enclosed is a partial transcript of her work in draft form and this in ongoing. Included are details of the three young Griffith girls who died by small pox in 1717. There are two deaths of parishioners who may have a Huguenot background, Jean Humphreys by his own admission 105 died in 1751, and a doctor John Bousseau died in 1757. Among the parishioners are members of the Spiller family, a common Christian name in the family is Ferdinando suggesting a possible Spanish connection. IN 1810 the Cathedral of St. Finbarr’s Cork produced a journal or book listing their properties. Include in the portfolio are properties in Ross including a mill leased to the Spiller family. That mill may originally have been monastic and was forfeit during the Reformation, this is only a speculation. The records also have details of meetings in 1798 and the early 19th century to raise levies of men for miitia and imposing taxes in so much per gneeve and ploughland (old land measures). There are a fair number of parishioners from a Catholic background judging by the names, O’Regan, Donovan, McCarthy, O’Hea, Roche, Goggin, Sullivan, suggestiing intermarriage and conversion. 1771 The Reverend Mr. John Beamish, Jrn., preached his first sermon in this church. 1770 The Revd. Chris Harvey Mar. 7th installed Vicar Choral. Revd. Henry Jones Curate. 1786 Aprill the 26th Mark Leede and Elizh. McCarthy was mard. In the Church of Clonekilty by the Revd. John Townsend. March the 13th Elizh the dather of Mark Legoe was bourn. David Dennis the son of James Dennis was baptizd May 20th 1690. Elleanor Dennis daughter to Ja. Dennis b. December 28th 169. Anne Dennis daughter of Ja. Dennis bapt. Augt. 10th 1701. John Clerk son to William Clerk check bottom of page. Day left blank p4 ctd. 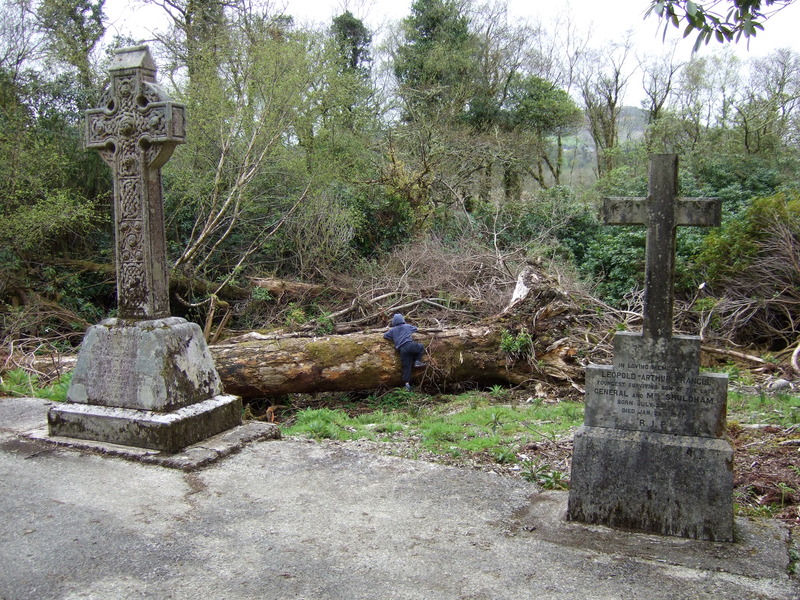 Mr. Phipip Hickson out of England died in Rathbarry parish and buried in Ross Church: July 21st 1707. The daughter of Isaac Carnoch (or Cornick, or Corhock or Corhick or Cornook or Corhook) of Brade beeryed Novbr. The 27th 1707. William the son of Timothy Hourohans (Name doubtful) Septbr. 5th 1708. Abigail the daughter of William Clerk was baptized Jany ye 29thand buried on Candlemas day following. John ye son of William Morris was baptizd ye 23rd day of September 1716. John and Kate the son and daughter of Willliam Heney? Were baptized March the ..
Anne the daughter of..were baptized..the ..
Derby Donovane and Elizabeth woods were married upon St. Bartholomew’s day 1726. Frank son of Jn Goslin was baptized April 3rd. … of .. Mr. Woodhouses baptized. June 21 The Rev Butler Townsend Do. 7br 4th Mrs Mary Morris wife of Jonaas Morris Esq. November 25th Mr. William Spiller of Do. July 22nd James the son of John Gariele? 7br 4th Mrs Mary Morris wife of Jonas Morris Esq. 21 Ferdinand Newman son of Ferdinand Spiller Mr. Phil Newman Mr.Thomas Hungerford Mrs. Elizabeth Newman and MrsAnn Murray sponsors. Catherine daughter of S. Jermyn received into the congregation. 28th James son of Thomas Pattisson John White John Lean Mary Donovan Ellen White sponsors. 7br 25 Elizabeth daughter of John Elliot (plus 2) soldier Jespar Dowan Phillip weaver Mary Stocker Catherine Barloe sponsors. September 15th from ye 4th removed, John son of Andrew Donohue received into the Congregation Mr. William Spiller John Legoe and Cassandria ARoche sponsors. August 30th Solomon son of John Barker Solomon Barker James Tomson and Margaret Skuse sponsors. Jane daughter of Richard Ronan of Clountris Tim Ronan Elizabeth Murry and Martha Goodman sponsors. April 9th 1765 Michael son of Richard Kingston John Hewett John Dunn Frances eddy and Mary Kingston sponsors. June 23rd Jonas Morris eldest son of Jonas Morris esq. May 9th Walter son of Robert Starky. Mr. Francis Beamish sponsors. 8br 29th daughter of Henry Baldwin Esq. January 1 James Morris Esq. June 27th Mrs. Smyth widow of Mr. Richard Smythe of Drene? October 19th Nathaniel evanson and Mary the daughter of of Henry Baldwin Esq. Samuel the son of Richard Kingston rcd. July 5th a child a son of Michael Tench Esq. December 18th Mrs. Townsend widow of the late Fraancis Townsend of Clougheen, Esq. March 10th Richard a child of Richard Smith of Castle Downeen Esq. March 12th John Harris of Drounbeg, Esq. March 7th William son of Edmond and Susanne Tanner of Carrigareen? 29 Adam son of william and Elizabeth Myles of Killenflea? December 27th Richard Moxly of Trone? February 24th Charles Bateman and Catherine Boyd both of this parish were married by me in this cathedral George Armstrong. April 4th William Philips of Clonakilty and Elizabeth Boyd of Mountainvalley were married y me in this cathedral by licence George Armstrong present Samuel Boyd. June 11th William Morris of Castle Salem and Sarah French of Millbrook were married by me in this cathedral by licence, George Armstrong. March 3rd William son of Henry adn Mary wagstaff of Fox Hall. March 26th Daniel O’Regan of Moveville Esq. April 3rd Thomas Doolan of CoononaghJune 22nd Townsend Beamish of Clonakilty Esq. John Freke, Mr. Beamish, Mr. Thomas Hungerford Richard Hungerford Mr. Richard Goodman Mr. Henry Jones. Mr. Richrd Smyth, Mr. Jn Smyth, Mr. William Spiller, Mr. Ferdinand Spiller, Mr. Dennis, (Mr. Francis Townsend, Thomas Clarke, John Proud, Thomas Starky, names struck out), Mr. Dan Donovan, John Dinneene, John Leane, John Hewitt, John Masterson. Jen Humphreys, George Dinn, George Heburn, Walter Starky, Townsend Varian. Sigs:- John Beamish V.V., Ri Goodman, William Spiller, Ferdinand Spiller, James Collins, John Legoe. Sigs:-John Beamish V.C., John Hewett, James Collins , church wardens, Ri Goodman, Ferdinand Spiller William Spiller, Jno Spiller, John Legoe. Sigs:- John Beamish V.C., Henry Strode church warden, William Spiller, Ferdinand Spiller, Butler Townsend. Sigs:- John Beamish, Vicar Choral, John smyth John Spiller church wardens, Butler Townsend, William Spiller, James Collins, John Legoe. Philip Townsend, Thomas Smyth Captain in Lord Landsdowne’s regiment, Robert Edwad Tell, Lieutenant in same, Jonas Morris, William Spiller, Henry Duniet. Sigs:- James Beamish Vice Choral, Jonas Parker, David Horan church wardens Stephen Legoe, Thomas Hazelle? Sigs:- John Beamish, Vice Choir, John Lean Rick Moxley church wardens, Thomas Hungerford, Jo Meade, John Legoe, James Fleming, John Barker. John O’Hea and the d]sacrament of the Lord’s supper in this church as by law established witness present. Sigs:- John Beamish V.C., John Hewett, Charles Murray, church warden, Samuel Baylie, Harry Lean, John Dun, John Barker, Henry Legoe, Joseph Legoe. Sigs:- John Beamish, V. Choir,, John Legoe John Berkley, church wardens, Henry Legoe, Jonas Parker, John Legoe. Sigs:- John Beamish,Vic Choir, Joseph Legoe, Joseph Dunn, church wardens, Thomas Birhagia Michel Barker, Mattias Donovan, Jer Donovan. Edward Bulstrode, Matthias Donovan, Randle Donovan, Jer. Donovan, Henry Legoe, Jonas Parker,John Lean, Stephen Legoe. Sigs:- John Beamish, Edward Bulstrode, William Evans, Thomas Hungerford, John Collins. 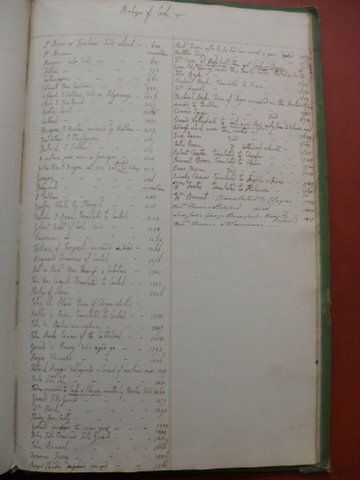 The National Archives, in Dublin, has a book compiled c1810 by the Cathedral of St. Finbarrs (Church of Ireland), listing various properties and tenants owned by the Cathedral. The reference is 1A/41/165/, 2/466/36. Included is a listing of the Bishops of Cork from c630 to1807. 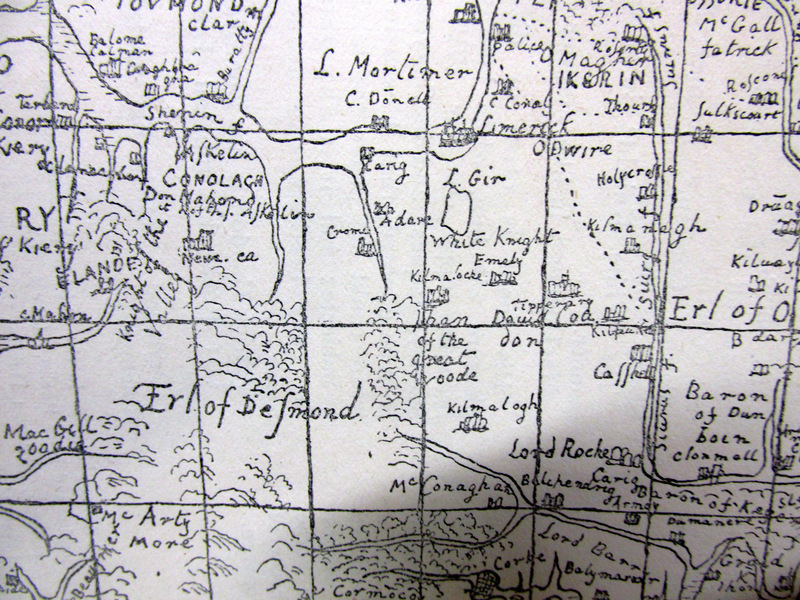 Legal tenure of Ballydehob, Dromreagh, Murreagh and Adroguinna, from 1626, West Cork. From the Encumbered estates Court 1854 where the title to land before the court is recited. This court was an attempt to ‘dry clean’ in a legal sense property which was so heavily encumbered that in effect in was unsaleable. Apart from bank mortgages much of this property, the insolvent estates of Irish landlords, was heavily affected by family settlements to provided for annuities for family members, marriage portions and so on. The famine was only the last straw which broke the camel’s back, the financial distress had been piling up since the collapse in agricultural prices with the ending of the Napoleonic Wars in 1817. Deed 12th April and 13th 1738, Earl of Burlington and Cork (descendants of Boyle), Sir William Heathcote to Richard Tonson (one of the Tonsons was the illegitimate son of Hull, who ran a fishery in Schull and was a major landowner). All manorial rights to the Lord of the Manor of Ballydehob and lands of Dromreagh, Murreagh and Ardoginna (these three townlands are in Durrus on the Schull side of the Mizen peninsula), acquires Dromrigh, alias Drumreagh, Dromlowe, and Ardogennae, three ploughlands in tenure and occupation of Edward Boyle and Mary his wife lease of 21st May 1626 for 5,000 years, sold to Richard Tonson for £1,700, Evanson 24th September 1765, Richard Tonson to Richard Tonson Evanson received by William Tonson Lord Baron Riversdale to Nathaniel Evanson 12th March 1811, Parliamentary conveyance his Grace to have right to protect claim, minerals to be excepted, (in fact the area is rich in minerals there were a number of mines in the region in the 19ht century).